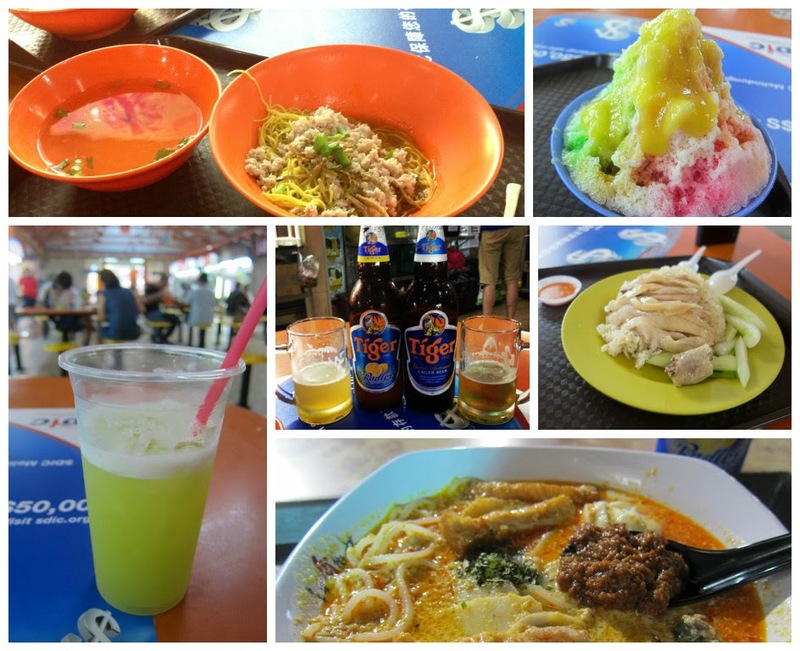 candidanimal: What Did I Eat in Singapore? Food I had but wished I didn't: the solf-boiled eggs that come with Kaya toast. I'm not a fan. What should have been on the list: Laksa - I didn't do my research and didn't know it existed. Biggest surprise: Durian shaved ice is amazing! Who would have known? 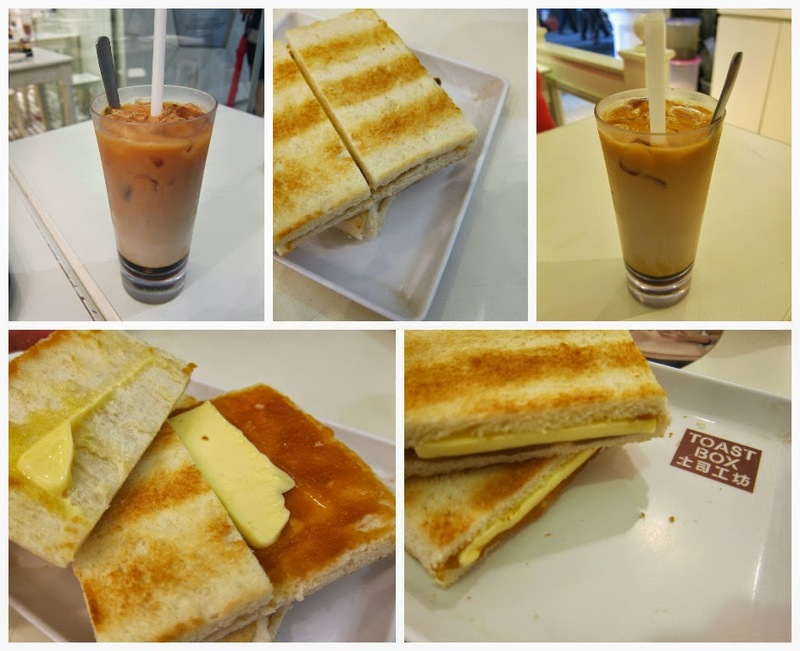 Everyday I went to Toast Box and ordered Kaya Toast, a delicious concoction of coconut jam, butter, and honey. Paired with Melacca Tea, a three-layer syrup-condensed milk-tea mixture, and it is divine. This included the ubiquitous Chicken Rice, is Singapore’s most famous Hawker center dish. I tried it in it’s many forms, from many stands. My advice is to go early, so you can get the best pieces of meat. At the end of the day it’s all bone. I like the places that provide oyster and chili sauce – not all of them do. Laksa was another great dish. is spicy coconut soup has so much going on I'm not sure what I'm tasting. I ordered this in Chinatown and copied the guy in front of me when putting on accouterments. As always, Tiger bear goes well with everything. And if you are in the mood for dessert, I recommend the fresh sugar cane juice and shaved ice with Durian - my new favorite fruit! 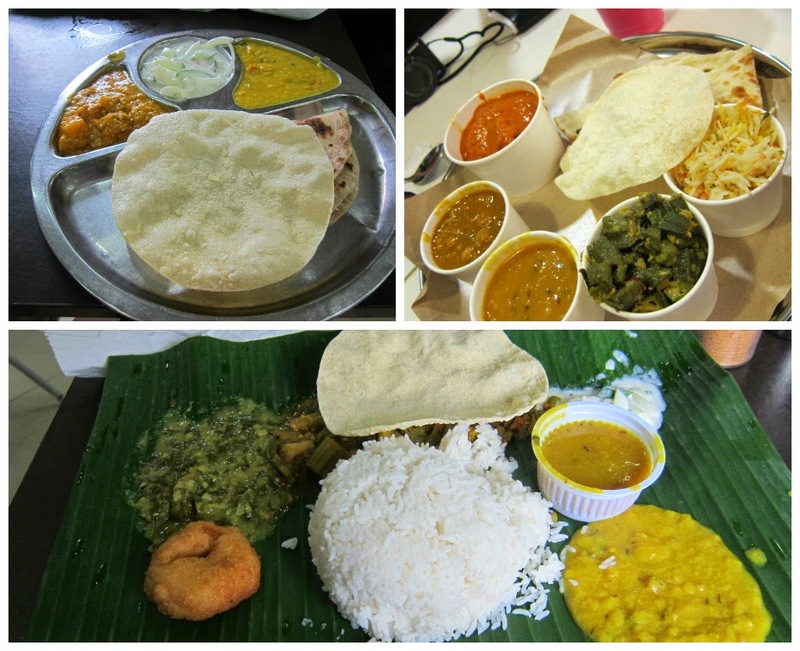 I ordered this set fro a popular vegetarian restaurant in Little India. There are some excellent flavors and textures in Indian food here, many that I haven’t had in America. Labels: 2014, Food, SE Asia Hop, SINGAPORE, What Do I Eat?